ORLANDO, Florida (June 13, 2017) – Six Saw Palmetto suppliers were found to have little-to-no actual Saw Palmetto extract, according to scientists at Valensa International, based in Eustis, Florida, in a report released today that summarizes the study findings and methodology. To help the industry battle for legitimacy, Valensa will provide a FREE analysis of any commercial grade ingredient claiming to be Saw Palmetto, regardless of the source. Saw Palmetto extract is among the best-selling ingredients in the world for normalizing prostate function and relieving lower urinary tract issues. The Saw Palmetto plant is known to grow and produce fruit (called ‘berries’) primarily in the southeast United States, and Florida but not all of the Saw Palmetto extracts on the market are legitimate, as the Valensa lab study found. In addition to the six competitive suppliers, Valensa tested its own USPlus® Saw Palmetto, which is the only sample to comply with both the USP monograph and the Valensa-developed authenticity protocol. The results showed that four of six extracts appeared to be adulterated (engineered) and the remaining two appeared to be outright imitation. Valensa offers free analysis to any end-product producer. The test uses Valensa’s testing protocols (based on USP standards) and they will, upon request, forward their testing methodology to a proven, trusted and reliable third-party testing laboratory. To obtain a copy of the complete report or submit a Saw Palmetto product for a FREE analysis, please email moreinfo@valensa.com. However, the names of brands tested in the Valensa study remain confidential. According to Dr. Gary Mikaelian, Lab Manager of Valensa, his scientific team put various Saw Palmetto extracts under scrutiny after the ABC-AHP-NCNPR Botanical Adulterants Program published the “Botanical Adulterants Bulletin on Saw Palmetto (Serenoa repens) Adulteration” in February that began to reveal the extent of the Saw Palmetto problem. “After conducting our own laboratory study on the authenticity and USP compliance of various Saw Palmetto extracts on the market today, we have quite conclusive results. The extracts tested were either imitation or out of specification — except USPlus® Saw Palmetto,” said Mikaelian. Valensa’s USPlus® Saw Palmetto is fully integrated, DNA tested, and complies with USP and EU monographs. 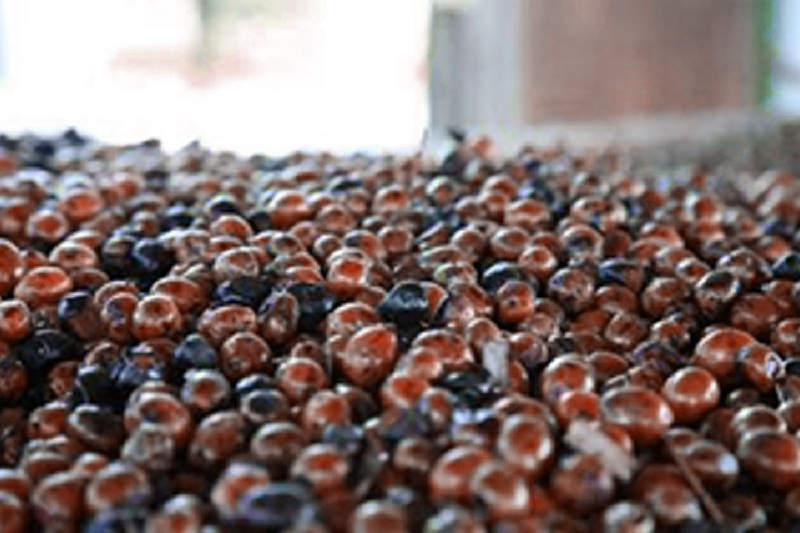 Saw Palmetto berries are responsibly harvested from sustainable sources. Valensa’s certified organic production facilities are located in a protected pine/Saw Palmetto grove. The Saw Palmetto study in February was published as part of the Botanical Adulterants Program, an effort to raise awareness and provide solutions on issues with botanical ingredient adulteration initiated by the American Botanical Council (ABC), the American Herbal Pharmacopoeia (AHP), and the National Center for Natural Products Research (NCNPR). Dr. Stefan Gafner, Chief Science Officer for ABC, helped to author the bulletin on Saw Palmetto adulteration. Dr. Gafner said that demand for Saw Palmetto may be outpacing the supply, which brings inherent risks. Headquartered in Eustis, Florida USA (near Orlando), Valensa International manufactures dietary ingredients and condition-specific formulations that are used in nutritional supplements, and functional foods to support a healthy lifestyle and enhance health. Valensa International is the proud owner of more than 60 US and International Patents for Formulations and Manufacturing (Deep Extract® Supercritical CO2 and O2B® Peroxidation Blocker stabilization.) Valensa brands include: FlexPro MD® and FlexPro ES® joint health formulations, Go Easy®, Immunum™, EyePro MD®, Pur-Blue® Premium Coated Spirulina, SpiruZan®, Prostate 360™, Cran-Gyn® & FemCool® Women’s Health Formulas, Organic USPlus® Saw Palmetto Oil & Palmetto Rosso™, Zanthin® Natural Astaxanthin, Tresalbio® Chia Seed Extract, Chia Gold® Stabilized Chia Seed Oil, Verilla™ Perilla Oil, Ginger extract, Parry Organic Spirulina, and Parry Tomato Lycopene Complex. Valensa is committed to production and processing that supports the environment and fair labor practices for those that work the land and participate in the production process. For more information, visit www.valensa.com. The American Botanical Council (ABC)-American Herbal Pharmacopoeia (AHP)-National Center for Natural Products Research (NCNPR) Botanical Adulterants Program (BAP) is an international consortium of nonprofit professional organizations, analytical laboratories, research centers, industry trade associations, industry members, and other parties with interest in herbs and medicinal plants. The Program advises industry, researchers, health professionals, government agencies, the media, and the public about the various challenges related to adulterated botanical ingredients sold in commerce. To date, more than 180 US and international parties have financially supported or otherwise endorsed the Program. a G. Mikaelian, M. Sojka, Authenticating Saw Palmetto extract: a new approach, Nutraceutical Business & Technology, 2009; 5; 24-27.
b G. Mikaelian, M. Sojka, J. Minatelli, The ultimate way to win the fight against Saw Palmetto extract adulteration, Nutraceutical Business & Technology, 2009; 1; 46-49.